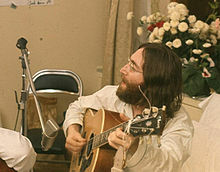 JOHN Lennon famously returned his MBE in protest about the war in Biafra and the Beatles single Cold Turkey slipping down the charts. I won’t be receiving any Australia Day (January 26) award to return but I am mightily miffed at my novel Iraqi Icicle slipping down the charts. "I am returning this MBE in protest against Britain's involvement in the Nigeria-Biafra thing, against our support of America in Vietnam, and against Cold Turkey slipping down the charts. With love, John Lennon." 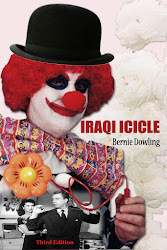 Yesterday, not the Beatles song, my novel Iraqi Icicle went to #37 in the Amazon Hot 100 humor freebies. By this afternoon, Aussie time, it had slipped below 60. This cannot continue. As I have said before, giving away books is a hazy strategy for me. Apparently, you can be anointed by God, the Amazon Algorithm. Obviously if some of the Iraqi Icicle receivers review my novel, it will be beaut. Whatever, if giving away books is good, giving away lots of books has to be better. 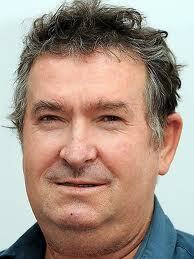 That’s where you, loyal supporter, come in. You can Facebook the Amazon free Kindle app for PC, Mac, tablets and smart phones followed by the two download sites for the UK and the US. You can post the entire list of world sites as found on my blog The whole world loves freedom. That is a lot of work and I would not recommend it unless you plan to cyberstalk me and I would worry about that. Instead you might like to tweet both the UK ande US free downloads above. I have been at work all day and unable to pester all my social media contacts which could explain why Iraqi Icicle has unjustly slid down the charts. Also Tuesday and Wednesdays are the weakest day of a five-day giveaway. I still think I can make the 1000+ giveaways with a little help from my friends. Today’s song comes with a bit of a preamble. Last week, I interviewed Gerry Marsden from 60s Britgroup Gerry and the Pacemakers. During the i/v I said truthfully Ferry Cross the Mersey was my favourite song of the band. The title should actually be written Ferry, Cross the Mersey. Ferry is an imperative verb, not a contraction of across. The song is more powerful when the listener knows this. Here it is. After you have a watch, get on to those social media messages for Iraqi Icicle.